A metal that exists in metallic form, either as pure metal or as an alloy. For example, cadmium, cobalt, bismuth, indium etc. The gold group consists of gold, copper, lead, aluminum, mercury, and silver. The platinum group consists of platinum, iridium, osmium, palladium, rhodium, and ruthenium. Aluminum is the most abundant element in nature. It is a major constituent of silica and clay. Iron is the second largest metal that exists in nature after aluminum. 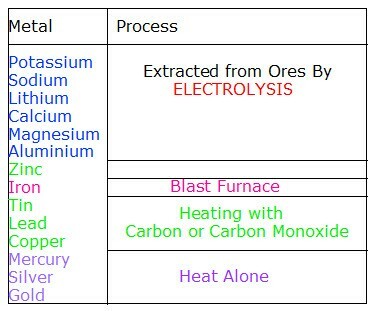 The process of extracting metals from ores is known as Smelting which was discovered around 6500 BC. It is a mixture of two or more elements in which the major component is metal. Alloys are made to obtain desirable characteristics. The basic idea to make alloy is to make metal less brittle, hard and more resistant to corrosion. Alloys of iron is important in both quantity and commercial value. For example, stainless steel, cast iron, alloy steel etc. Iron alloyed with carbon gives low, mid and high carbon steels. Increase in carbon content reduces ductility and toughness. The addition of silicon to iron produces cast irons, whereas the addition of chromium, nickel and molybdenum to carbon steels results in stainless steels. The alloys of aluminum, titanium, and magnesium are valued for their high strength-to-weight ratios, and magnesium can also provide electromagnetic shielding. These alloys are used in jet engines. 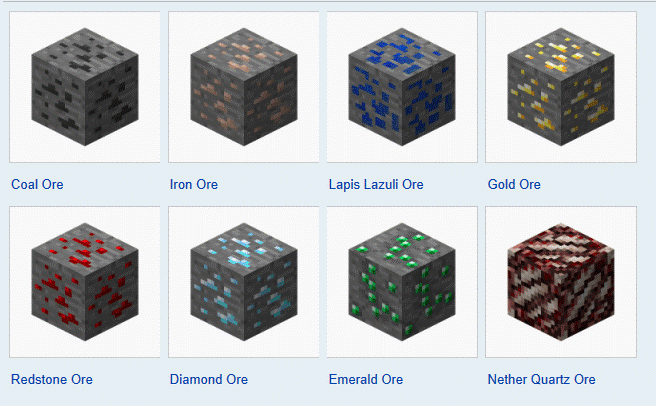 Ore is a naturally occurring material from which a metal can be extracted. They are extracted from the earth by the process of mining. 2. Conduct resource estimation-This is  to estimate the size and grade of the deposit. 3. Conduct a pre-feasibility study -This is done to know about the practicality of the proposed idea. 4. Conduct a feasibility study – This is to evaluate the financial viability, technical and financial risks associated with the project. 5. Development- This step is used for building mine plant and equipment needed. 7. Reclamation is the last step in which land is made suitable for future use. Q1. Which metal is found in free state in nature? Sol. Only gold, silver, copper, and the platinum metals occur in nature in larger amounts. They are less reactive in nature, so occur free. Amongst the alloys found in native state are brass, bronze, pewter, German silver, etc. Sol. Metal exists naturally but not in pure form.